On a typical city street or free-way, one can see the direct light from street lamps up to 1 or more miles away. NONE of that distant light contributes to our ability to see at night, whether we're walking or driving. Instead this light appears as glare1. Glare constricts the pupils of our eyes and inhibits the chemistry in the retina that allows us to see in darkness. If this light were properly shielded and thus directed downward to the ground, instead of outward and upward as glare and waste, the ground would be brighter, our eyes better dark adapted, and we would actually see better at night! The same could also be said of most parking lot and campus lighting. In a typical American urban or suburban home, street lights, neighbors' lights, and sometimes commercial lights stream into our bedroom windows at night. There are not many who find this desirable. It is also completely unnecessary. Properly shielded home security lamps can provide sufficient illumination of doorways and ground spaces near the home, while not shining in your neighbor's (or your own!) window. This is also true for residential street lighting - when properly beamed to the ground, the street will be lit sufficiently, with little light wasted on lighting up our bedrooms and homes. Found in rural, and sometimes urban, settings across the country is the 175 Watt unshielded mercury vapor lamp - light travels miles in nearly all directions instead of illuminating the farm grounds, yard, or street. The same can be said for most billboard lighting - the vast majority of that light is simply beamed into the sky. Properly shielded overhead lighting could do the same job with fewer lumens and thus at a lower cost. Vying for our attention, many businesses are far over lit, some using 3-10 times the recognized lighting industry recommendations for site lighting (IESNA2). This excess lighting appears mainly as glare, causing eye fatigue and diminishing the human eyes' ability to see in darkness. Safety is compromised. Unshielded, glaring illumination often shines into homes. It is also difficult to see someone standing underneath a bright, outwardly directed, light. That same light directed downward to the door and its immediate surroundings would provide far better security. Glare defeats both safety and security. Indiscriminately beamed light is costly: in most of the above instances, a properly shielded light bulb emitting fewer lumens would do the same job as a brighter but improperly shielded bulb. The long-term savings in money and energy demands are obvious. We are losing the wonders of nature's night sky to wasteful, inefficient outdoor lighting. Fewer and fewer people experience a starlit night sky because it is flooded with wasted light. This sad story has been quantified and documented in this paper. How often have humans been inspired by the multitudes of stars in our Milky Way? What's up there? Where did it all come from? Where did we come from? Are we alone?... Should we take from our children this gift of nature? Efficient outdoor lighting is a win/win proposition for everyone. It is also available, and becoming more so with increasing numbers of manufacturers (e.g., Hubbell Lighting, Green Earth Lighting, and Rabb Lighting). Many communities are adopting efficient lighting - the cities of Los Angeles and Melbourne, Australia have replaced all of their street lights with full cut-off lighting. Here are links to state (e.g., Connecticut) & local outdoor lighting laws/ordinances. Here's an Outdoor Lighting Code Handbook. With the increasing costs associated with generating power (e.g., building new power plants, generation of green house gases), power companies are beginning to see the advantanges of efficient outdoor lighting. Everyone wins. 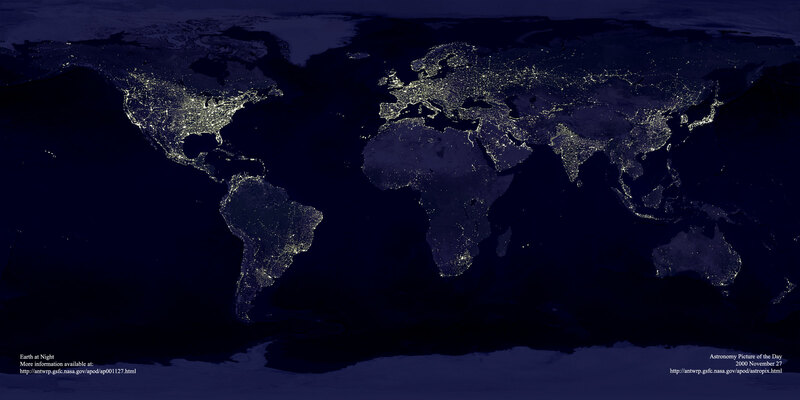 Here are some (1, 2, 3) short introductions to the problem of light pollution and its solutions. Additional information may be found at the web pages of the International Dark Sky Association , its Michigan Chapter, and the New England Light Pollution Advisory Group. 1If this term is unfamiliar to you, think about where you point a flashlight when walking in the dark - at the ground away from your eyes. A flashlight pointed in the direction of your face produces glare, disabling you from seeing your surroundings.